Vanishics is a great effect for street magic and close-up. A card chosen by the spectator is marked with an "X". 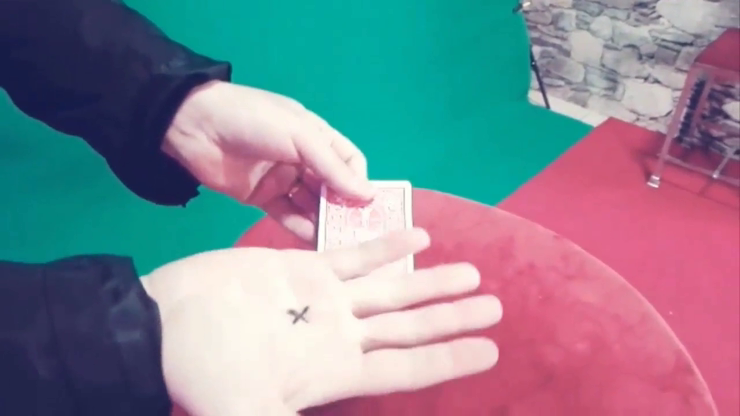 A small movement and the "X" instantly disappears from the card and reappears on the palm of the magician's hand! Everything happens under the eyes of the viewers! They are literally stunned! The Gimmick is very easy to make and easy to use. The numerous effects possible with the Vanishics Gimmick are limited only by your imagination.